Reason: Game was discontinued by the publisher. Paragon’s newest update brings big changes to the Jungle, five new Hero reworks, a brand new HUD, and more! See all the changes now. A new Hero and balance changes for existing Heroes and Cards are coming in the v.42.3 update arriving August 29. When his bandit family was destroyed, he escaped into the Chem Wastes of Omeda and survived off the land. There he opened a junkyard on the edge of the Chem Wastes and changed his name to Drongo. Our v.42.4 update introduces a new Drongo skin, as well as new emotes for both Shinbi and Kallari. Loot Crates have been updated with new content and Daily Quests, Start Chests and First Win of the Day now reset at a locked time each day. Lastly, we fixed a few Hero, UI and controller bugs. All your base belongs to Drongo. Take over the universe with the Space Invader Drongo skin. 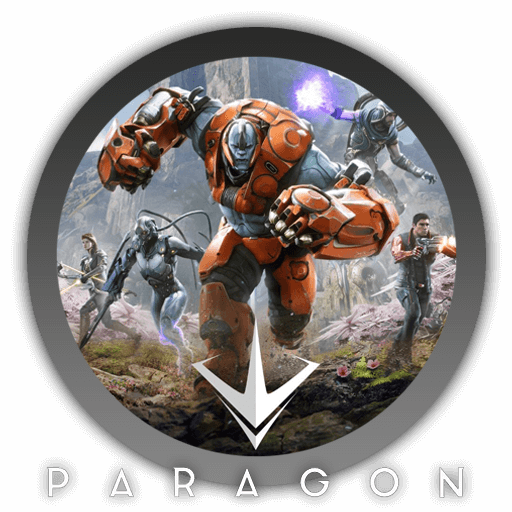 Many of you have shared suggestions, provided feedback, and discussed the future of Paragon with us on our social channels over these past two weeks. We want to let YOU know that you have been heard, and we are planning a balance pass, along with an number of bug fixes in the v.42.3 update. Experiencing issues updating Paragon? Experience a game crash, bug, or any other issue? Reach out to player support here. The v.44.4 update is here. You can wear the new Ying Mei Twinblast + Future King Wukong skins, try out a few Card adjustments, earn new items in the December Monthly Mega Vault and more. Take a look at the Patch notes below and download the update today. The Ying Mei Cartel have infiltrated v.44.4, recruiting Twinblast in their latest efforts.